Engineered to activate more grip for improved handling and outright performance, White line products are rigorously tested on the track to provide unrivalled street performance! Specialty Note: Sleeves adjust to a smaller degree on Ford 4WD light trucks. Installation time:5hr per side. Required: 1 per wheel. Whenever you lower a vehicle s ride height, negative camber is increased. 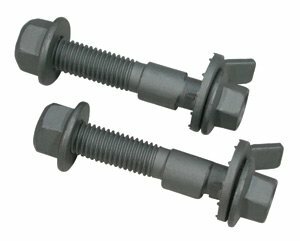 H&R Triple C Camber Adjustment Bolts are a simple, yet very effective means of removing excessive camber, adjusting your vehicle's camber settings, or even correcting small side-to-side camber variations for precise alignment. 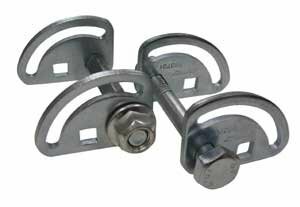 Consisting of a pair of specially-designed bolts, H&R patented Triple C Camber Adjustment Bolts replace the original upper fastening bolts on McPherson strut applications. 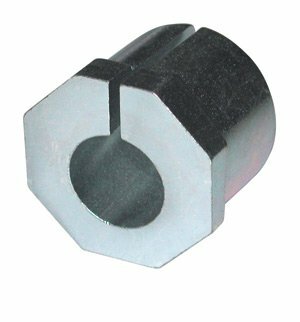 As the bolt is turned, a small cam eccentric alters the vehicle's camber, allowing adjustments from 0-3 degrees, positive or negative. Installation takes only minutes with readily available hand tools, and benefits include increased tire life, improved tracking and the ability to dial in more camber for weekend track events. 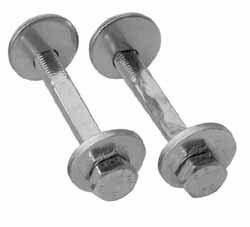 Quite simply, H&R Triple C Camber Adjustment Bolts are a great value. 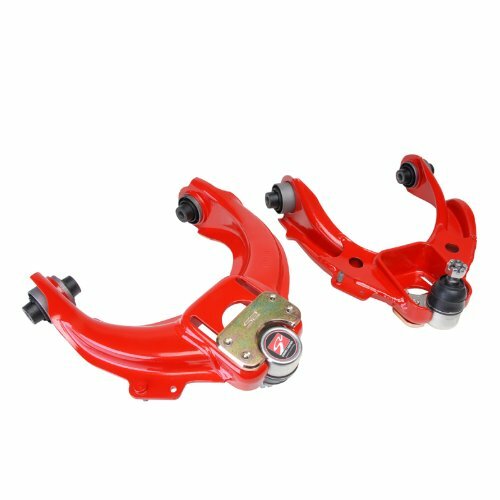 No other single suspension modification can yield such impressive results with such a small investment in time and money and you can do it yourself. 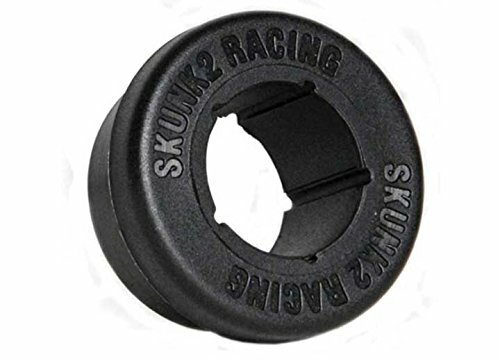 Skunk2's Rear Camber Kit for all '88-'00 Civics and '90-'01 Integras, including CRXs and del Sols, is manufactured from forged alloy steel and 7075 aluminum and is proven to significantly improve handling and overall stability. 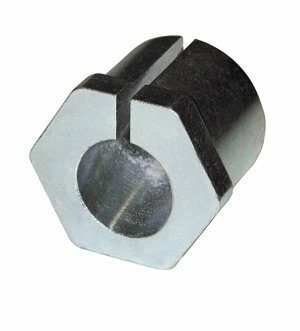 Specialty Products Company (SPC) 83775 Caster/Camber Tool, F-Body This tool allows for fine, accurate, easy adjustments of camber or caster on GM "F" body vehicles. No extra parts or cutting/grinding needed. The effect of bump steer is for the wheels to toe-in or toe-out when the suspension moves up or down. Bump steer is undesirable because the suspension is steering the car instead of the driver. 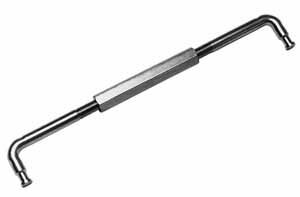 To fix bump steer especially when lowering a car, you need to alter the height of the outer tie-rod relative to the steering rack with adjustable tie-rod ends, also known as a bump steer kit. BBK Performance Mustang Bump Steer Kits are available to fit 1979-93, 1994-04 and 2005-14 Ford Mustangs. These BBK Bump steer Kits will correct the front geometry of the Mustang suspension after you have lowered the it with a Mustang lowering spring kit. 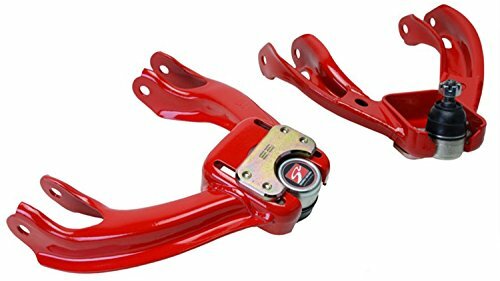 This bump steer kit will offer improved steering and better handling. 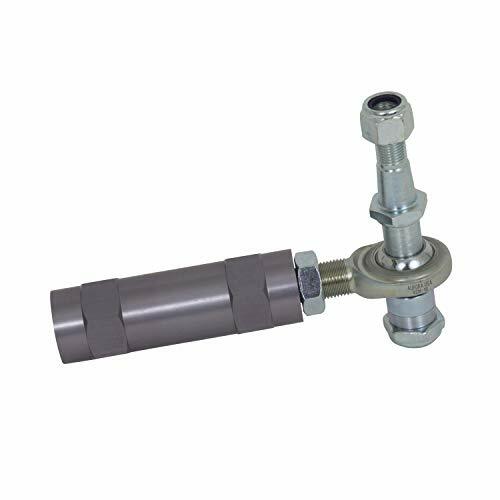 These kits can also be used to replace stock factory tie rod ends that wear out instead of replacing the ball joints. While the 1 and 3 Series models are now provided from the factory with a significant range of camber adjustment, the Dinan camber plates shift the range of the adjuster by -0.7 degree, providing for a more aggressive negative camber setting that dramatically improves grip in the turns. 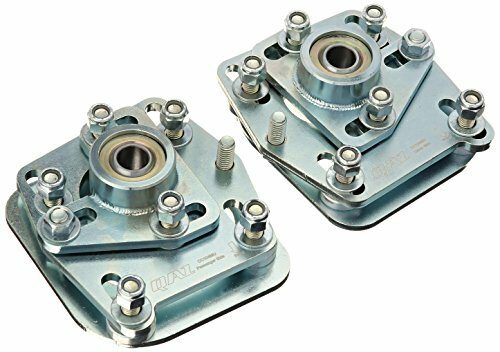 There's really no reason to install an adjustable type camber plate as adjustment is already provided by BMW and then enhanced by Dinan. 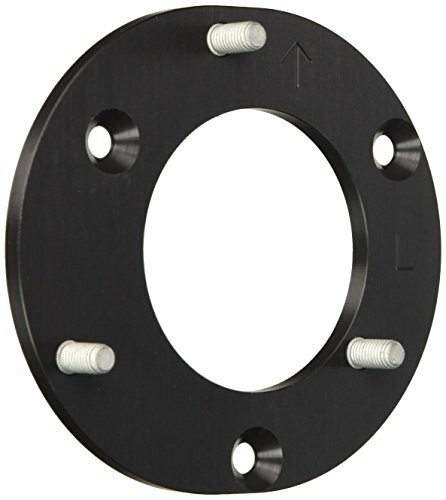 The Dinan camber plates retain the factory bushings, eliminating negative effects on ride quality or the introduction of annoying noises that are common with adjustable camber plates. Fits: BMW; 1 Series, 3 Series; 128i, 135i, 135is, 325i and Xi, 328i and Xi, 330i and Xi, 335i and xDrive, 335is; Sedan, Coupe, Convertible; E82, E88, E90, E92, E93; 2008-2013 128i E82, 2008-2013 128i E88, 2008-2013 135i E82, 2008-2013 135i E88, 2013 135is E82, 2006 325i and xi E90, 2007-2013 328i E93, 2007-2013 328i and xi E92, 2007-2011 328i and xi E90, 2006 330i and xi E90, 2007-2013 335i E93, 2007- 2013 335i and xDrive E92, 2007-2011 335i and xDrive E90, 2011-2013 335is E92, 2011-2013 335is E93. Skunk2's Pro Series Front Camber kit for the TSX features specially engineered A-arms, high-quality rubber bushings, and one-piece, forged ball joints for maximum positive camber adjustment in a low-profile design that allows for abnormal tire wear correction due to negative camber. 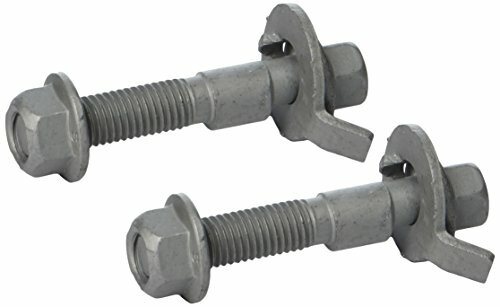 Specialty Products Company (SPC) 72055 - 350Z Rear Camber Bolt Kit. 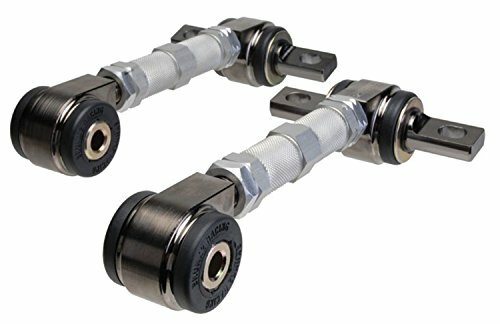 These cams (set of 2) replace the OE camber and toe adjustment cams and provide additional camber and toe changes. Adjustments slots will need to be elongated using 85130 Rotary File Set or equivalent. 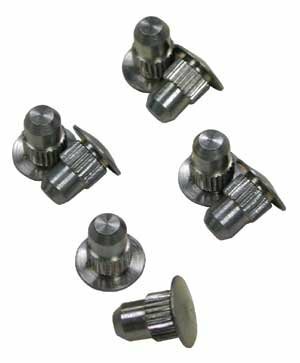 This kit uses a larger cam washer to achieve greater adjustment than the OE toe cam provides. In order to take advantage of full toe adjustment mark the area to elongate the existing toe slot with template provided. Rotary file 85126 makes this job quick and easy. 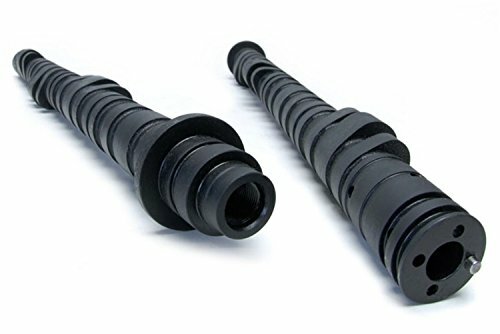 Gain an extra 19-22 horsepower and retain your factory idle and low-speed emissions with Skunk2's Tuner Series stage 2 camshafts, premier line of high-performance camshafts for Honda's K20A2-based, K-series engines.